The Good: Improved UI is great. Loyalty mechanic is interesting. The Bad: New ages mechanic is heavy handed and feels very artificial and unrealistic. The Ugly: Weak AI continues to behave psychotically. 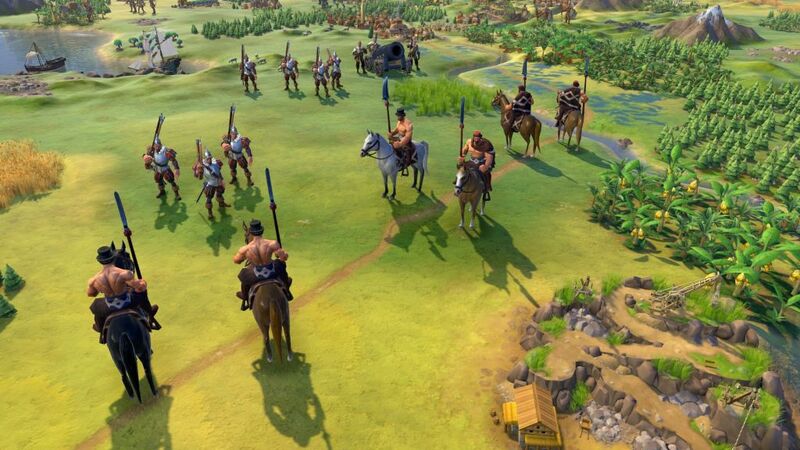 Civilization games are definitely the most difficult games I review. A single game can take upwards of 20 hours to complete, and in creating a review I don’t just play a single game, I try a number of games to sample different pieces of it, see how the different civilization rulers and strategies and win conditions play out. 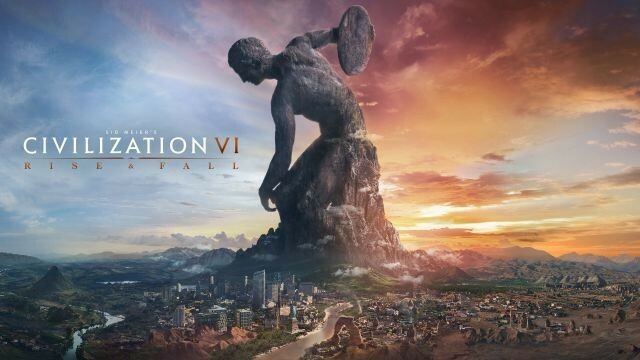 So having now played with three different rulers, none of those games to completion, do I feel ready to review Civilization VI: Rise and Fall? I’m writing it now, so I guess that’s a yes, but a yes with reservations. 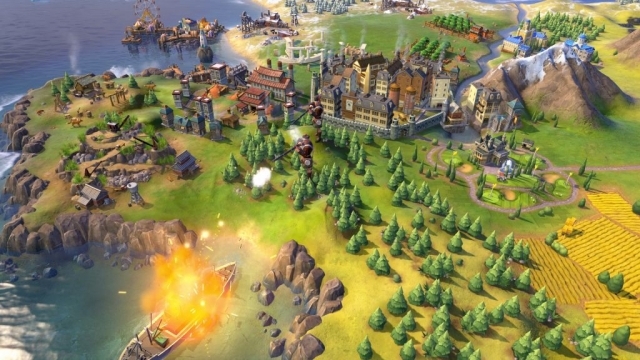 My review is complicated by the fact that I liked Civilization V more than VI, so as soon as I handed in my review of VI, I went back to playing V (I actually liked III better than V until Brave New World, and for some reason likely related to a head injury, have almost no recollection of having played IV at all). 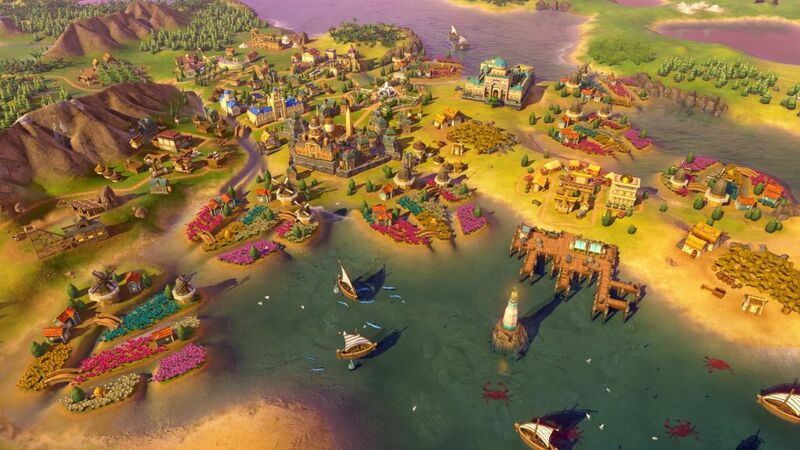 My memories of Civ VI are perhaps not that sharp, and every iteration of Civilization brings some new things, sometimes which are only slight recastings of old things, and some favorite features always hit the cutting room floor. I can love some parts of a given civilization game (and do), and find other design choices utterly baffling (and I do), and why I chose V over VI is complicated. All that said, my feelings of Rise and Fall are pretty simple: I like the idea of what they were trying to accomplish (or at least what I think they were trying to accomplish), more than I like the implementation of that idea. I can tell that this is going to take some explaining, so allow me to begin. My thinking is this: the goal of Rise and Fall is to try to extend the competition in the middle of the game and increase the playability of the endgame. 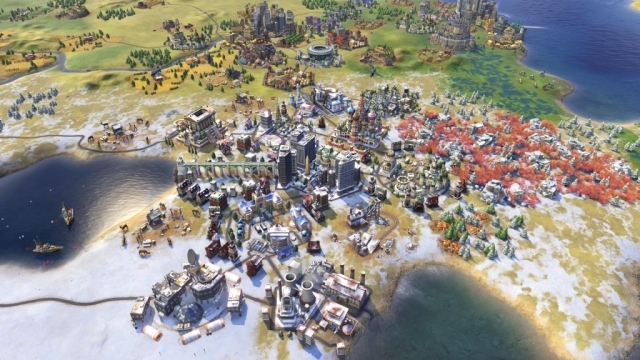 Civ games forever have had a problem in that late in the game, once one civilization is dominating the world, it can be essentially impossible to dislodge them. When on the losing side, the game turns into a slow grind of lost territory and watching the front runner civilization get further and further ahead, clinging to maybe the vain hope that the AI (back in single-player only days) would make some boneheaded move to give you a chance to catch up (in really early versions, Civ 1 and 2, that wasn’t actually all the unheard of). Even worse, when in the front slot, the game turns into a terrible slog as you waited for military units to capture the last few cities, or you waited for the last space station modules to be completed or whatever. 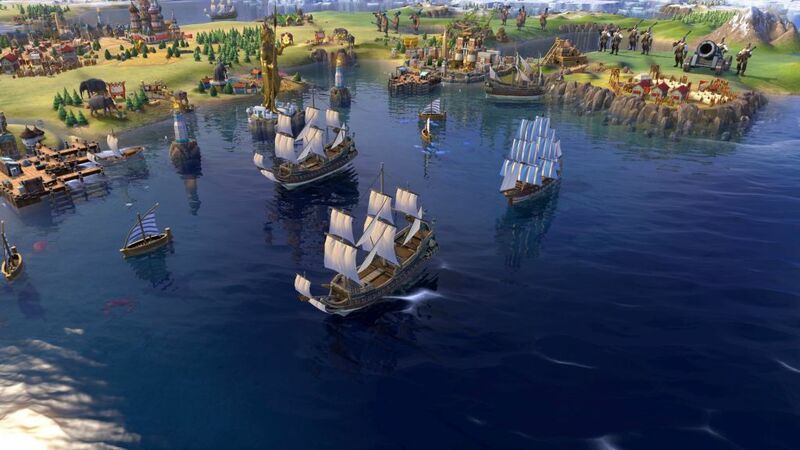 Over the years the game added a number of different victory conditions, but in most ways the number one civilization was still the number one civilization. Sure, you could be ahead towards a diplomatic victory, but a powerful military leader could usually wipe out enough low-hanging civilization fruit to stall the diplomatic victory long enough to clear the map. Or you could be ahead in science, and an opponent cranking out spear-chuckers could still overwhelm your high-tech defenses to take it all. Even all the way up to Civ VI, turning the tide of a losing game was nigh impossible, and sometimes a bad layout start on the globe (ever try to begin a civilization in a thin strip of land in the arctic?) could determine the whole arc of a game by like 1000BC. So R&F does a number of things to try and address that, most notably the inclusion of era goals. Players score points for accomplishing just about anything – founding a city, building a wonder, researching a technology, etc. You accumulate those points in any given era (the exact length of the era is unknown and is based upon a number of civilizations achieving some set of goals), and you have a couple of numbers you are trying to hit. If you fall below the first threshold, your civilization will fall into a dark age in the next era, and there are all kinds of badness associated with that. 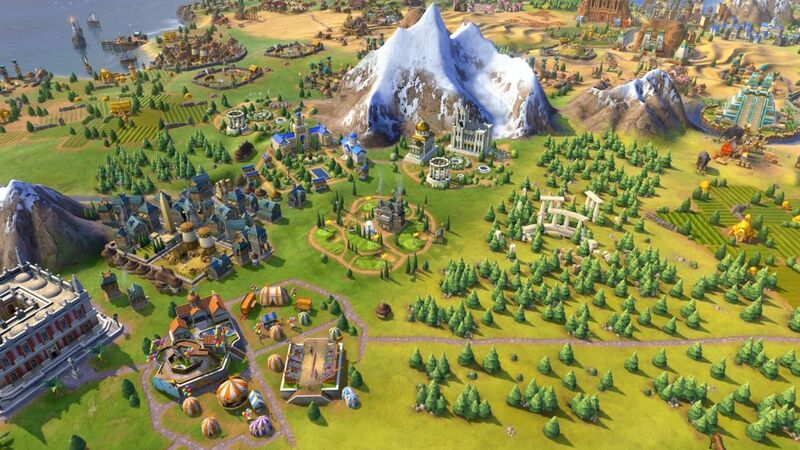 If you cross the second threshold, your civilization will be in a golden age, which has a number of bonuses. In between the two thresholds, your civilization will be in what is considered a normal age. The catch, and how the game tries to hold back the front runners and let the bottom tier catch up, is that the thresholds change depending on the age you are in when the era starts. After a golden age, the thresholds are quite a bit higher. I found it nearly impossible to maintain a golden age for two consecutive eras, and sometimes fell from a golden age to a dark age just because the first threshold became so steep. Likewise, during a dark age, the thresholds fall, allowing civilizations experiencing a dark age to rebound more easily. Rebounding from a dark age to a golden age actually results in a heroic age, which provides even greater bonuses. This adds an extra layer of strategy because you can try to delay scoring era points, to avoid going into a golden age specifically because you’re worried about the dark age that may follow. Or you can leap for the golden age, shoot for a rapid expansion on the golden age bonuses, and see if you can hold it together should a dark age fall. I think the reason this layer of strategy fails is because it is so predictable. I know, coming out a golden age that the best I can hope for is a normal age, or that the chances of being stuck in a dark age for two successive eras is almost nil, so I have a pretty clear horizon of how long I’m going to have to hold things together to survive it. Though I will add, even as it feels like an almost bizarre tilting of the playing field unrelated to how well you’re playing the game, it does serve to drag down the leader and give the others a chance to catch up. Some of the other adjustments serve a similar purpose, but feel far less ham-fisted. Cities are now given a loyalty score, and the further flung they are the harder it is to maintain their loyalty. Cities with low loyalty risk defecting or declaring themselves a free city, independent of any civilization. This change effectively kills the “anchor city” strategy of dropping a far flung city on an enemy continent as a foothold to advance from, because you’re not going to be able to hold onto it. It also tempers expansion plans as you have to consolidate strongly or risk losing cities to disloyalty as you capture/found them, and if you come out a of an expansionist golden age and fall into a dark age, the dark age drags on all your city loyalties. You can try and boost loyalty through city improvements. You can also assign a governor to a city, which is a special character who boosts city productivity in some way (depending on the type of governor you select) as well as city loyalty, but you have to earn governors and you max out at 7, so they’re not the solution to all of your ills. Many of the things that chased me away from Civ VI persist, most notably the unstacking of military units. 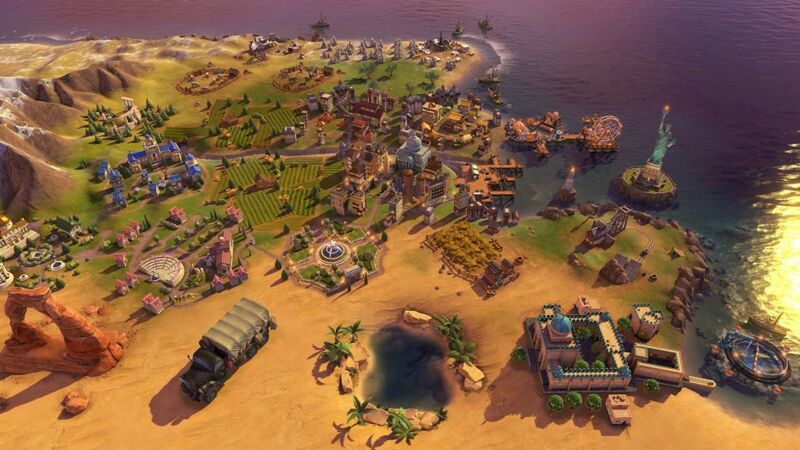 The Civ series has always played fast and loose with exactly how big the hex regions are. Perhaps VI makes it worse or at least more evident by unstacking cities and military units. So to build, say, the civilization wonder The Pyramids, I need to dedicate an entire hex space to it. That same hex space is unable to hold more than one group of rock slingers? A battalion of tanks and a battalion of pikemen take the same volume? I get it, the giant stacks ‘o’ death were a problem, especially in late game, but at least for me the pendulum has swung too far the other way. I would in fact welcome some attempt at sizing the hex volume and allowing units to fit accordingly. I’m also still not sold on the whole concept of the policy cards, and my ability to change them every turn without penalty. In earlier Civ games, changing your form of government led to a period of anarchy, but now switching governments and policies is essentially penalty-free, and it results in a level of micromanagement that frankly I don’t have the patience for (I know, a Civ player complaining about micromanagement. Weird!). I use one policy card to give me a bonus when finishing a wonder, and then switch to build some chariots with a different policy bonus, but then switch again because the defensive unit advantage lies in yet another policy card. Who keeps all those cards straight? Who wants to open that interface and change cards every few turns? It’s a type of gamesmanship that seems too trivial to me, but is absolutely necessary if you’re playing to max out everything. Other things R&F brings to the table include a GUI redesign, which is brilliant. It has almost everything I could possibly want to know right there on the screen without being overwhelming or crowded, and you can bring in additional screens from the left and the right with still more information, but that visual format does start to clutter up on you a little. They’ve added 9 more civilization leaders – I had to look that fact up in the press materials. As I mentioned earlier, I’ve only played using three, and they could as far as I know be three that came with the base game. I readily admit, with under 40 hours of gameplay in, I’m not the guy to talk to about the pros and cons of the dozen plus leaders that are available. I’ve got a friend who (publicly!) 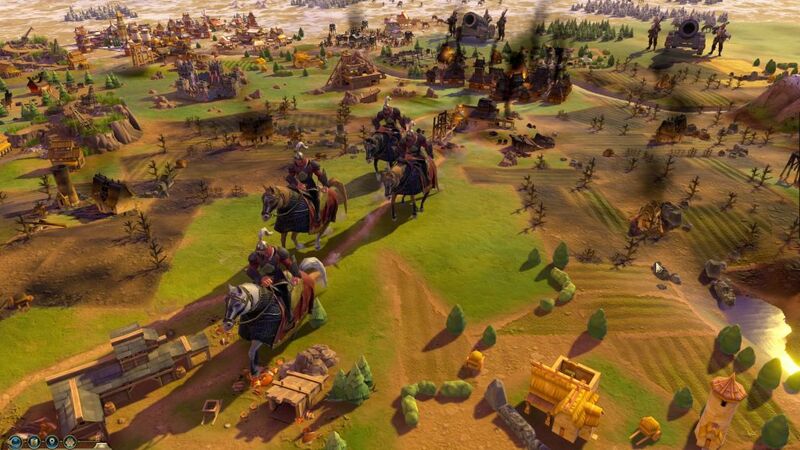 admits that he’s approaching 1000 hours in Civilization V – he would be a guy to ask about the different leaders. 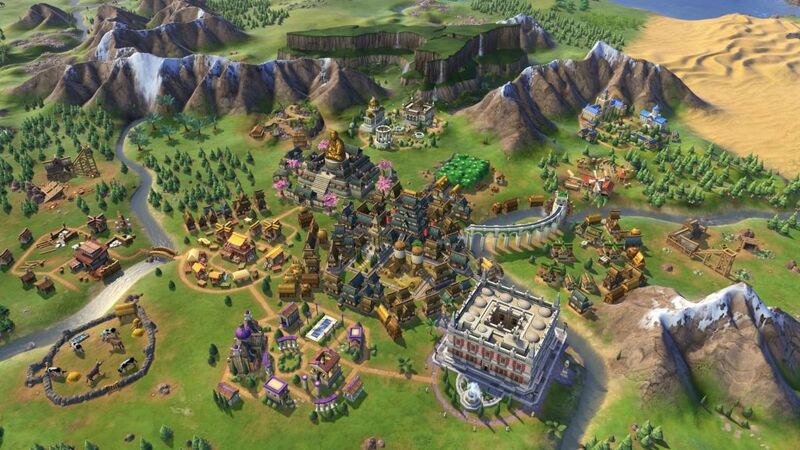 This review is based on a digital copy of Civilization VI: Rise and Fall for the PC provided by 2K.